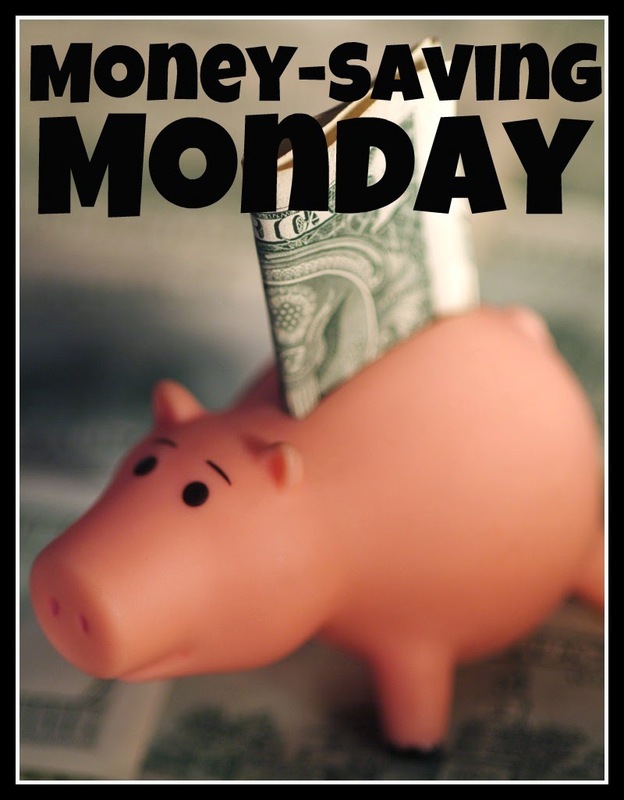 Just like last week's Money Saving Monday post , I may as well just start by admitting I'm a paper hoarder...a BAD one! I want to use every little last scrap and throw nothing away. I'm sorry, but the stuff below was just too good to toss!!!! 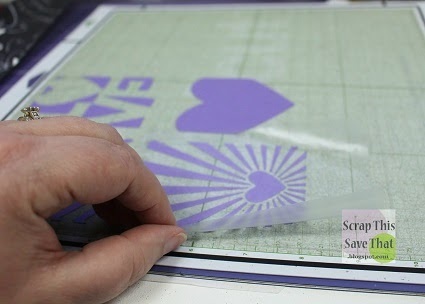 When I was working on my Living In Color Scrapbook layout a few weeks ago, I realized I wanted to show you how to not only use the Silhouette cut I made, but also how to transfer and use the negative image, which was just as awesome as the positive one. I started with a cut file from the Silhouette store called "3 x 4 Journaling Cards" and cut the four images you see above. 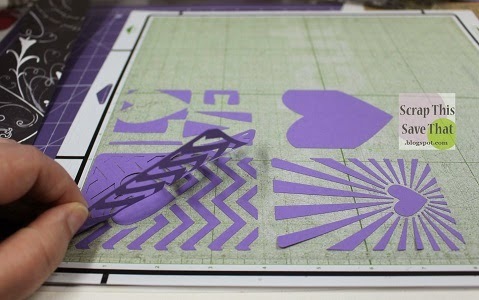 As I was removing the images from my cutting mat, I realized a couple of the negatives (the part left ON the cutting mat) were just too cute to waste. 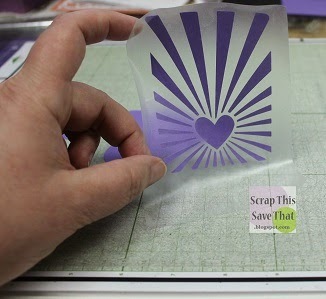 I cut a small piece of clear Contact Paper (the stuff you use to cover shelves with...this works GREAT as transfer tape when cutting vinyl and is so much cheaper!) that was slightly larger than my image. I stuck my hands onto the Contact Paper over and over to remove some of the "sticky." I left my negative on the cutting mat, placed the Contact Paper over it and burnished it lightly with my fingers. I VERY slowly started to lift the piece off the mat. If I saw some of the pieces weren't coming up, I would lay the Contact Paper back down over the piece, burnish again and coax it up with my fingernail or a spatula. Once the whole image was off the mat, I turned it over and applied my adhesive (I think i used a Zig pen for this one) and then placed it on my layout where I wanted it. I was VERY gentle about lifting the contact paper up off the image, since some of the pieces may not have adhered to the page the first time, or some of the paper from the negative might partially peel and stick to the Contact Paper, so go slow with it. It's a lot more time consuming than working with vinyl. Here's my finished layout showing the positive and negative image on the left page. I really love the way it came out! Have you every tried this technique before or do you have an easier way to do it? I would sure LOVE to hear!! That is so cool! Thanks for sharing the technique. I'm the Growing In Unity Girl This Week! 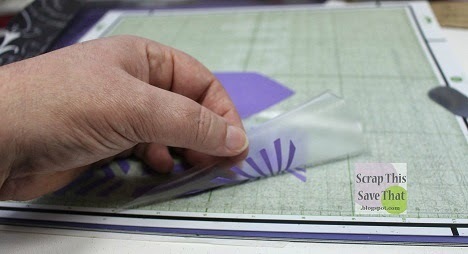 How to Make your Cardstock Last Longer!